An automotive navigation system is a satellite navigation system designed for use in automobiles. It typically uses a GPS navigation device to acquire position data to locate the user on a road in the unit's map database. Using the road database, the unit can give directions to other locations along roads also in its database. Dead reckoning using distance data from sensors attached to the drivetrain, a gyroscope and an accelerometer can be used for greater reliability, as GPS signal loss and/or multipath can occur due to urban canyons or tunnels. The Global Positioning System (GPS) is the only fully functional Global Navigation Satellite System (GNSS). The GPS uses a constellation of between 24 and 32 Medium Earth Orbit satellites that transmit precise microwave signals, that enable GPS receivers to determine their current location, the time, and their velocity (including direction). 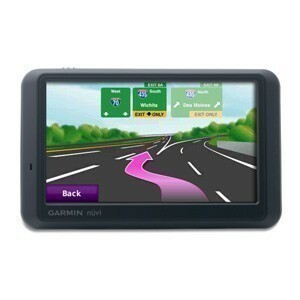 GPS was developed by the United States Department of Defense. Its official name is NAVSTAR-GPS. Although NAVSTAR-GPS is not an acronym, a few backronyms have been created for it. The GPS satellite constellation is managed by the United States Air Force 50th Space Wing.